Your business relies on data and fast access for marketing, customer service and support. Having data is great, knowing what to do with it is even better. With GoldMine, you can drive business activities and track who is doing what. Better management means more profits. GoldMine understands what’s important to business leaders – fast and easy access to important metrics across all of your business units. 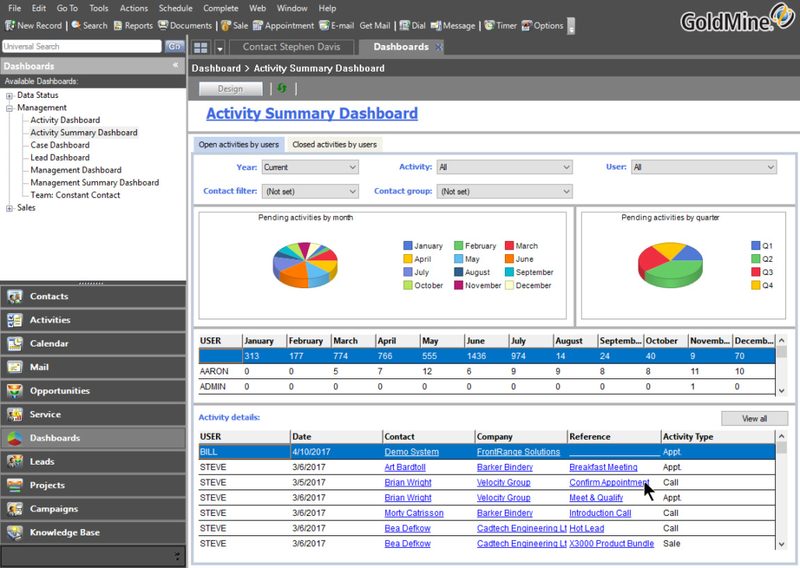 Fully customizable charts, colors and datasets will help you manage for success. Get even more value out of your CRM when you integrate it with other leading business applications for marketing, accounting and other sales related tasks. 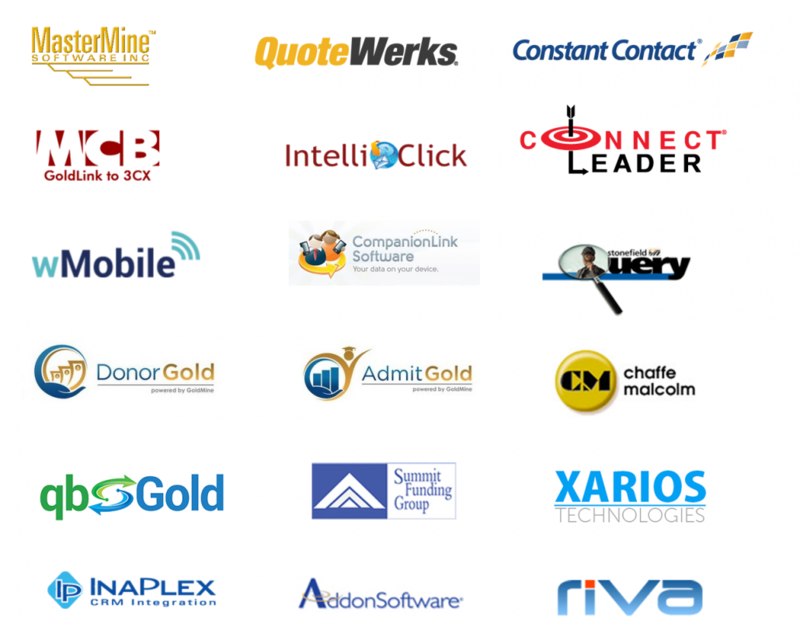 GoldMine integrates with leading 3rd party providers. At the center of a relational database is the need for custom fields. 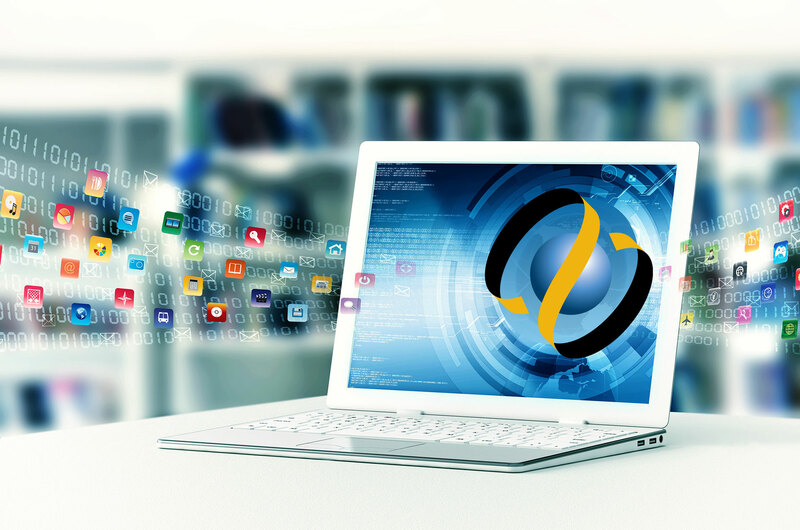 GoldMine has an easy set-up that gives you unparalleled access to important data. 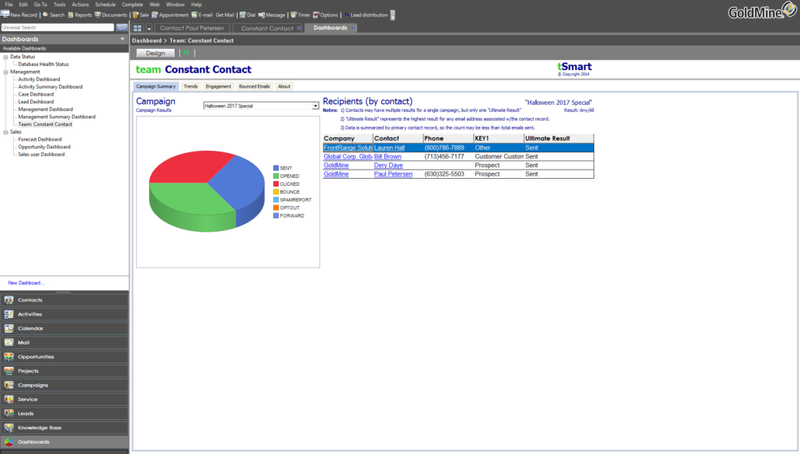 Industry templates also speed up repetitive tasks and ensure a constant look and feel that fits your business. When business is moving at the speed of light it pays to move just as fast. 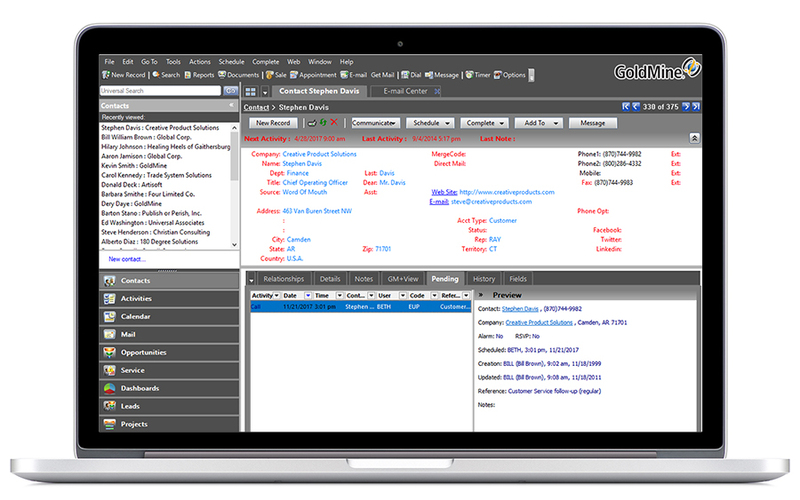 With GoldMine’s centralized database, you can quickly build a list and get your message out. 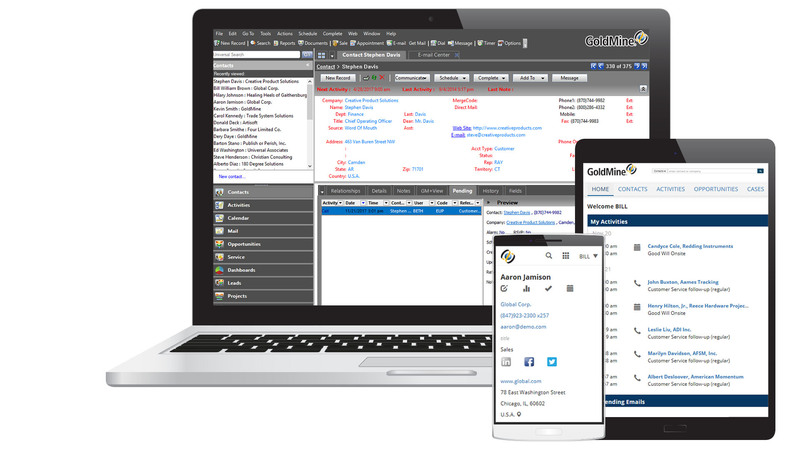 GoldMine has removed the headaches of many CRM platforms. Because our interface is so common, your employees will feel right at home. Less time training means more time doing.